Blessed Basil Moreau said, "For those who live by faith, the cross is a treasure more valuable than gold and precious stones." 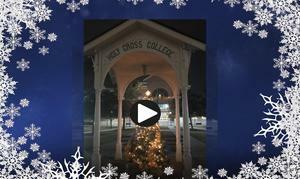 As we prepare for Christmas, I am delighted how our entire school community has come together to celebrate family through the Cross. 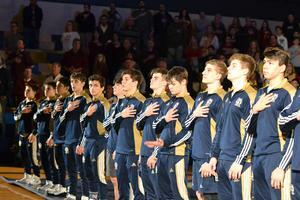 Thanks to our Tiger family for their strong support in this week's wrestling dual meet versus Brother Martin. Good luck to our team as they head to Florida this weekend for the Border Wars Tournament. 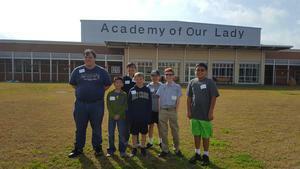 Congratulations to the Holy Cross Middle School Quiz Bowl Team for taking home several medals in the Academy of Our Lady Academic Games this past weekend. Holy Cross School is pleased to announce the appointment of Trey Guillot '95 as our head baseball coach for the 2018-2019 school year. Congratulations to our swimming tigers on their state championship win this weekend! 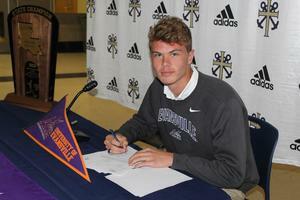 The Holy Cross Soccer program had its first Division 1 signing with senior Ethan Garvey committing to the University of Evansville. 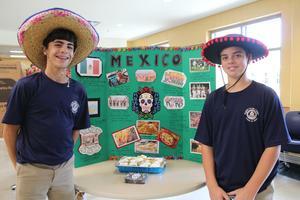 Our eighth grade students explored a variety of world cultures, including a bit of New Orleans, in their annual World Culture Day. 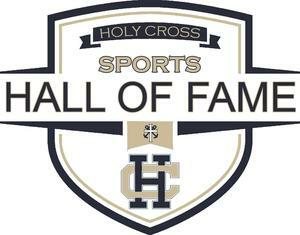 Holy Cross School will present 15 sports legends to be inducted into its Sports Hall of Fame this week. Congratulations to Holy Cross Junior Justin Borne, who has been named to the Louisiana All-State Concert Band on Clarinet.